← The ‘Past’ used to be recounted from generation to generation – perhaps not any longer in the twenty-first century though? 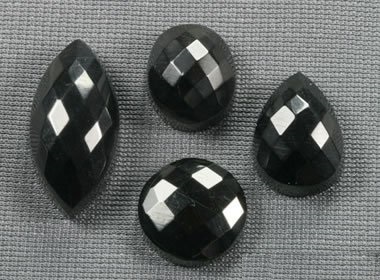 British ‘Whitby Jet’ Gemstone – an unappreciated, undervalued, underrated, unique and beautiful treasure resource? It is a strange thing about life that we often abandon and belittle some wonderful places and things close at hand ,or on our doorstep, in favour of those from far away that in reality have less intrinsic interest, relevance, and worth, don’t you think? If you need convincing of that, just take a trip to explore the delights of the impressive scenery in the Yorkshire countryside, including its breath-taking North York Moors and a little further west the Dales, where in both you can see much endless landscape to die for (including numerous sheep, of course? ), together with desolate farmland, with dry-stone walls, hedges and open moorland, and lovely little unspoilt villages dotted around here and there. Perhaps you might even stumble upon, and so discover, on the Yorkshire coast, the iconic lost in time ‘has-to-be-seen-to-be-believed’ Robin Hood’s Bay, which is a magnificent small ex-fishing village of houses built mostly of sandstone with red-tiled roofs, within a maze of tiny narrow hilly streets, and with its large bay, located a few miles south of the well-known resort of Whitby – that itself is renowned for its inescapable drawing power of fish (just caught!) and chips (you’ll never eat better, they say?). 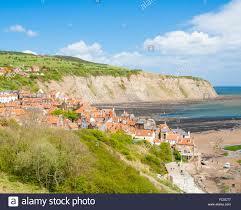 Sandwiched between two cliffs, this quaint place of Robin Hood’s bay is reached by a steep road down from the top of one of them. If you do get there, you just might get to hear about a much-forgotten beautiful gemstone called “Jet”. Well (apart from the likes of jet engines? ), what most of us British know about something jet, is simply its use in the terminology of “jet-black” as that being the epitome of blackness; hence for ‘the real blackest blackness’ we resort to saying ‘as black as jet’ as coined by Shakespeare [whence other terms such as ‘as black as coal’, ‘as black as pitch’, have to take a back seat, don’t they?]. However, apart from the beaches around Robin Hood bay (and indeed Whitby) famously serving-up both archeologists, together with today’s fossils hunters & collectors, with a hoard of ‘in outstanding condition’ Jurassic reptile and plant remains (it yields excellent ammonites, reptiles, and shells), they are the source of hard Jet, which is the fossilised wood of the ancient trees of some two hundred million years ago – and results from the process of huge high-pressure carbon compression combined with salt water, and being subjected to complex chemical changes. Now, Jet’s use as an artefact and gemstone, and so fashioned into items of jewellery, has been around for at least ten thousand years and it certainly has had periods of popularity in Britain since the Bronze age of a few thousand years past, and in particular in the late Victorian era, but as a fashion it has faded here in modern times. Raw Jet is a material that is very easy to carve but is difficult to work with to create fine details without breaking, so it requires the investment of skill in manufacture and care in design, but it polishes-up extremely well and that results in a marvelously deep lustrous shine, whence its blackness can be a great contrast when set in silver, don’t you think? 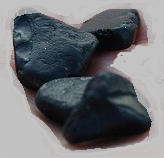 The deep glossy black of true fine Jet doesn’t fade but keeps its luster and it is warm to the touch (unlike say black glass) and it is only found in Britain in limited quantities along a seven and a half mile stretch of this North Yorkshire coastline. Just remember though, that the very finest quality Jet is definitely from Whitby and it is an exclusive and very scarce valuable material, so if you like it and chose to buy its stunning trinkets, just keep the fact under wraps so a little bit secret, as we don’t want the price to rocket due to increased popularity, do we? You should know that Jet has also been known as ‘black amber’, as it may induce an electric charge like that of amber when rubbed, and also that historically it has been believed to bestow some ‘magical’ protection upon the wearer! [One Whitby Jet Jeweller has survived, even from the heady days of popularity in Victorian times, so is still going strong there from its original shop of nigh-on 160 years ago – skilled craftsmen still producing fine quality Jet jewellery, it would seem].